Islamic countries won United Nations backing for an anti-blasphemy measure Western critics say risks being used to limit freedom of speech. Combating Defamation of Religions passed 85-50 with 42 abstentions in a key UN General Assembly committee, and will enter into the international record after an expected rubber stamp by the plenary later in the year. It provides international cover for domestic anti-blasphemy laws, and there are a number of people who are in prison today because they have been accused of committing blasphemy, said Bennett Graham, international program director with the Becket Fund, a think tank aimed at promoting religious liberty: Those arrests are made legitimate by the UN body's (effective) stamp of approval. While the current resolution is non-binding, Pakistan's Ambassador Masood Khan reminded the UN's Human Rights Council this year that the OIC ultimately seeks a new instrument or convention on the issue. Such a measure would impose its terms on signatory states. Western democracies argue that a religion can't enjoy protection from criticism because that would require a judicial ruling that its teachings are the truth. Defamation carries a particular legal meaning and application in domestic systems that makes the term wholly unsuitable in the context of religions, says the U.S. government in a response on the issue to the UN High Commissioner for Human Rights: A defamatory statement . . . is more than just an offensive one. It is also a statement that is false. The freedom of expression rapporteurs of the United Nations, the Organization for Security and Co-operation in Europe (OSCE), the Organization of American States (OAS), and the African Commission on Human and Peoples' Rights (ACHPR) have released a joint declaration on defamation of religions, and anti-terrorism and anti-extremism legislation. After meting on 9 December in Athens, the four media freedom 'watchdogs' adopted their annual international mechanism for promoting freedom of expression. This year's document coincides with the 60th anniversary of the Universal Declaration of Human Rights and covers the dangers to freedom of speech inherent in national legislation regulating the fight against defamation of religions and blasphemy laws, as well as against extremism or other terrorism-related speech offences. The signatories agreed that the concept of defamation of religions does not accord with international standards accepted by pluralistic and free societies. They said that international organizations should abstain from adopting statements supporting criminalization of defamation of religions. The four freedom of expression rapporteurs also advised that the definition of terrorism should be restricted to violent crimes which inflict terror on the public, and that vague notions such as providing communications support' or promoting extremism or terrorism should not be criminalized unless they constitute incitement. They said that the role of the media should be respected in anti-extremism and anti-terrorism legislation. A defamation of religion resolution stating that Islam is frequently and wrongly associated with human rights violations and terrorism passed in the U.N. General Assembly – but with fewer votes than in previous years. Over the past year opponents ranging to media watchdogs and free speech advocates to Christian and humanist groups have stepped up lobbying against the Organization of the Islamic Conference (OIC)-driven campaign. Thursday's vote passed by a margin of 86-53, with 42 countries abstaining. The result showed a significant erosion of support since a similar resolution passed in the General Assembly last December by a vote of 108-51, with 25 abstentions. For the first time, the number of countries supporting the resolution fell behind the number of those voting against or abstaining. Defenders of free speech take some consolation in the increased votes for our cause, Hillel Neuer, executive director of the human rights watchdog UN Watch, said: But the adoption of yet another totalitarian text is a stark reminder that human rights at the U.N. is under assault. He also noted that Islamic states were using a major U.N. conference on racism, scheduled for next spring, to advance their campaign. Proponents are arguing that the defamation of Islam and Islamophobia are contemporary forms of racism, and should thus fall under purview of the racism conference, commonly known as Durban II. The most dire threat is coming from Geneva where a Durban II committee headed by Algeria has this week been seeking to amend international human rights treaty law to ban ‘defamation of religion,' especially Islam, Neuer said. Three countries which voted in favor in 2007 – Belize, Cape Verde and Liberia – moved to opposing the resolution this year. And one country, OIC member Nigeria, abstained last year but voted in favor this year. Speakers at a seminar in Pakistan urged the UN to take stringent measures to force respect of every religion and formulate laws to stop blasphemy against Islam. The West needs to change its view of Muslims, they said at the seminar titled World Situation, Peace and Religious Leaders organised by Mir Khalilur Rahman Memorial Society (MKRMS) in collaboration with Jamiat Ulema-e-Ahle Hadith. Dr Babar Awan said Muslims belief was incomplete without belief in all messengers of Allah and respect of all heavenly books. He said Muslims respected West’s freedom of expression ...BUT... were deeply grieved and angered on the blasphemy of their Prophet and the Quran committed with blatant callousness by the western leaders in the name of freedom of expression. He said freedom of expression had its limits in the West and it must never damage religious feelings of any human being, adding that Muslims would never tolerate the blasphemy of the prophet and other sacred personalities. He said that the world needed to change its view of Muslims, and to search for the reasons which led to the present day confrontation. He asked the UN to legislate to stop blasphemy and disrespect of religions which, he stressed, was essential for world peace. Bishop Samuel Azriah said the need of the hour was to promote the message of love, peace and humanity since all religions called for respect and honour of other religions and to protect lives of those practicing other faiths. He said it was the collective responsibility of the entire world especially religious leaders. He warned that dangers of extremism were lurking and the world should try to understand the extremists and attempt to win over them. Qazi Abdul Qadeer Khamosh said Islam strictly forbids killing of innocent people and exploitation of others. He expressed sorrow that Islam was being tarnished by demolishing schools and suicide attacks. He criticised the present policies of the government as ‘faulty’, saying suicide bombers could not be stopped by force but negotiations and other peaceful methods must be used. The United States has decided not to participate in a UN conference on racism in April unless the final document is changed to drop all references to Israel and the defamation of religion, a senior US official said. The conference is a follow-up to the contentious 2001 conference in Durban which was dominated by clashes over the Middle East and the legacy of slavery. The U.S. and Israel walked out midway through that eight-day meeting over a draft resolution that singled out Israel for criticism and likened Zionism to racism. Israel and Canada have already announced that they will boycott the upcoming World Conference Against Racism in Geneva from April 20-25, known as Durban II, but President Barack Obama's administration decided to assess the negotiations before making a decision on U.S. participation. 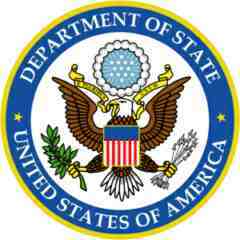 Last week, the State Department sent two US representatives to Geneva, where the final document to be issued by conference participants at the end of the conference is being negotiated. A US official said that in the negotiations, a bad document got worse. The United States has decided that it will not participate in further negotiations on the outcome document and will not participate in the conference itself on the basis of the latest text, the US official said. The Obama administration would reconsider its position if the document improves in a number of areas including dropping references to any specific country, references to defamation of religion which the US views as a free speech issue, and language on reparations for slavery. For the last nine years, the UN's annual ban on defaming Islam has been non-binding. In March, the United Nations may try to impose its view on Islamic blasphemy on all of its member nations thus making criticism of Islam a crime. In December, the UN General Assembly, as it has every year since 1999, passed a resolution titled Combating Defamation of Religions. The vote was 86-53, with 42 nations abstaining. Originally titled Defamation of Islam, the name of the resolution has changed over the years but not the intent. The only religion mentioned in the seven-page document is Islam. The resolution's main sponsor is the 57-member Organization of the Islamic Conference. Although the current resolution is non-binding, recent reports suggest the U.N. Human Rights Council will attempt to pass a binding version of the resolution when the council meets in Geneva in March. In November, when the most recent version of the anti-blasphemy resolution was introduced, Pakistan's Ambassador Masood Khan told the Human Rights Council the OIC wants to see a new instrument or convention that addresses the issue of blasphemy, one that would be binding on member states, according to Canwest News Service. CNN's Lou Dobbs also reported that the United Nations will seek to impose its religious defamation resolution on all of its members. Pressure is rising on Germany's Social Democrat-controlled Foreign Ministry to walk away from the so-called Durban II meeting - the UN's World Conference Against Racism - which opens in Geneva on April 20. When asked about Rome's decision to pull out of Durban II because, as Italian Foreign Minister Franco Frattini said, the preparatory document and negotiations are filled with aggressive and anti-Semitic statements, a German Foreign Ministry spokeswoman told The Jerusalem Post on Friday that Germany had not changed its position and would participate in the text negotiations. Germany remained undecided on whether it would take part in Durban II itself, the spokeswoman said. Germany must boycott this anti-Semitic and anti-Western spectacle. Either together with its EU partners, or if necessary alone. We are not the fig leaf for Iran's Islamist and anti-Semitic activities, Christian Democratic Union MP Kristina Köhler said in a statement. Responding to the draft Durban II final document, Köhler said, These passages exude the spirit of Teheran, not the spirit of freedom and human rights. Anti-racism is to be misused in the fight against Israel, the fight against the West, and not least the fight against freedom of opinion and the press. The United Nations is to be misused to give universal validity to the Islamic anti-blasphemy concepts in countries like Iran. That is unacceptable. The National Secular Society has warned government officials that a new resolution proposed by Pakistan at the United Nations Human Rights Council (UNHRC) will define any questioning of Islamic dogmas as a human rights violation . It will intimidate dissenting voices and encourage the enforced imposition of sharia law. NSS Executive Director Keith Porteous Wood told top officials at the Foreign Office at a meeting yesterday that the new resolution would seriously undermine free speech, other human rights and, indeed, democracy around the world, and that its first victims would be the more moderate voices in the increasingly radicalised Islamic countries. The Human Rights organisation UN Watch had obtained a copy of the Pakistani-authored proposal after it was distributed this week among Geneva diplomats attending the current session of the UNHRC. The document, entitled Combating defamation of religions, mentions only Islam. This is an Orwellian text that distorts the meaning of human rights, free speech, and religious freedom, and marks a giant step backwards for liberty and democracy worldwide. The first to suffer will be moderate Muslims in the countries that are behind this resolution, like Iran, Saudi Arabia, Egypt, and Pakistan, where state-sanctioned blasphemy laws stifle religious freedom and outlaw conversions from Islam to other faiths. Ultimately, the very notion of individual human rights is at stake, because the sponsors of this resolution seek not to protect individuals from harm, but rather to shield a specific set of beliefs from any question, debate, or critical inquiry. Keith Porteous Wood said that the new resolution was dangerous and shocking: We call on all liberal democracies to resist this new attempt to close down legitimate debate about the place of religion in a human rights context. The resolution is a corruption of the concept of universal human rights and would give a free hand to every Islamic despot and tyrant in the world. United Nations officials have said that Muslim-backed references to defamation of religion and criticism of Israel have been dropped from a draft being prepared for next month's world racism meeting, Durban II. It now speaks only of concern about the negative stereotyping of religions and does not single out Israel for criticism, according to the officials. The April 20-25 meeting in Geneva is designed to review progress in fighting racism since the global body's first such conference eight years ago in Durban, South Africa. Israel and Canada said they would boycott this year's meeting in Geneva. The United States and Italy have also vowed not to attend unless countries commit to a balanced declaration. The European Union and Australia have threatened to follow suit unless Muslim countries backed down. A United Nations forum has passed a resolution condemning defamation of religion as a human rights violation. The UNHuman Rights Council adopted the non-binding text, proposed by Pakistan on behalf of Islamic states, with a vote of 23 states in favour and 11 against, with 13 abstentions. The resolution claimed Muslim minorities had faced intolerance, discrimination and acts of violence since the Sept. 11, 2001, attacks on the United States, including laws and administrative procedures that stigmatise religious followers. Defamation of religious is a serious affront to human dignity leading to a restriction on the freedom of their adherents and incitement to religious violence, the adopted text read, adding that Islam is frequently and wrongly associated with human rights violations and terrorism. It called on states to ensure that religious places, sites, shrines and symbols are protected, to reinforce laws to deny impunity for those exhibiting intolerance of ethnic and religious minorities, and to take all possible measures to promote tolerance and respect for all religions and beliefs. Islamic states have fired back at a United Nations- appointed special expert on freedom of expression, who said that speech should not be restricted in order to protect religion. Restrictions should never be used to protect particular institutions or abstract notions, concepts or beliefs, including religious ones, wrote UN Special Rapporteur Frank La Rue in his report presented to the Human Rights Council. La Rue, a Guatemalan human rights jurist, said restrictions to prevent intolerance should only be applied to advocacy of national, racial or religious hatred that constitutes incitement to discrimination, hostility or violence. He also called on the council, and the UN General Assembly in New York, not to adopt resolutions that support the idea of defamation of religion. At its previous session in March the council adopted, in a blow to European nations, a resolution condemning the so-called defamation of religion as a human rights violation. Addressing La Rue at the current session, Pakistan's ambassador to the UN in Geneva, Zamir Akram, speaking on behalf of the 57 member- states of the Organization of the Islamic Conference (OIC), slammed La Rue for not reporting on the abuses of this freedom. Pakistan's ambassador said the OIC would monitor the expert and take an appropriate course of action if he deviated again from the mandate they wanted him to implement. The Organisation of the Islamic Conference, a voting block within the United Nations, is currently attempting to use its power within that organisation to seek to have a binding resolution made attempting to force governments to criminalise freedom of expression. In pursuing this course of action it seeks to promote the idea that religion can be defamed and that criticism of religion should be outlawed. This is a gross violation of the most basic and fundamental of Human Rights, that of freedom of speech. It must be countered by all governments wherever possible and properly identified for what it is, a blatant attempt to stifle debate and criticism of religion. Religions do not have rights, people do. Whilst this is being introduced by Islamic countries it is not specific to the religion of Islam. The British Government is committed to protecting the human rights of all, including the rights to freedom of expression, and to freedom of thought, conscience and religion. These rights are guaranteed by the Universal Declaration on Human Rights and the International Covenant on Civil and Political Rights. The resolution on defamation of religions was first introduced at the Commission of Human Rights in 1999 and again during the 10th session of the Human Rights Council held in March 2009 in Geneva. The United Kingdom, as with all other members of the European Union, has consistently opposed this resolution on the grounds that it limits the right to freedom of expression. The UK does not accept that defamation of religion is a human rights concept. International human rights law protects individuals in the exercise of their freedom of religion or belief: it does not protect beliefs, faiths or philosophies. However, we strongly support the right to freedom of religion or belief, and believe that it is complementary to the right to freedom of expression. The right to freedom of expression is not absolute and can be subject to certain restrictions that are provided by law and are necessary for respecting the rights or reputations of others, or for the protection of national security or of public order, public health or morals. In line with our domestic legislation, we have argued that that any advocacy of national, racial or religious hatred that constitutes incitement to discrimination, hostility or violence should be prohibited by law, in accordance with the international obligations of States and that these prohibitions are consistent with freedom of opinion and expression. The United Kingdom will continue to protect and promote freedom of expression internationally, including by opposing attempts to curtail it by deploying the concept of defamation of religions. "The right to freedom of expression is not absolute and can be subject to certain restrictions that are provided by law and are necessary for respecting the rights or reputations of others, or for the protection of national security or of public order, public health or morals. In line with our domestic legislation, we have argued that that any advocacy of national, racial or religious hatred that constitutes incitement to discrimination, hostility or violence should be prohibited by law, in accordance with the international obligations of States and that these prohibitions are consistent with freedom of opinion and expression". hostility , not just violence or discrimination, but hostility? 1. of, pertaining to, or characteristic of an enemy: a hostile nation. 2. opposed in feeling, action, or character; antagonistic: hostile criticism. 4. not friendly, warm, or generous; not hospitable. 5. a person or thing that is antagonistic or unfriendly. 6. Military. an enemy soldier, plane, ship, etc. Is the US Supporting Calls to Outlaw Supposed Hate Speech? That's what it looks like, with this Joint U.S./Egypt draft U.N. Human Rights Council resolution (dated Sept. 2005). The resolution generally seems to be an attempt to urge more protection for free speech throughout the world, and some praise it for that; moreover, it lacks the exception for defamation of religion that some Muslim countries have urged. It may therefore be a step forward for Egypt, and an attempt to urge a step forward for some other countries. But I'm worried that it might be a step backward for our own constitutional rights, because of what seems to be the U.S. endorsement of the suppression of any advocacy of national, racial or religious hatred that constitutes incitement to discrimination, hostility or violence and possibly of negative stereotyping of religions and racial groups. I say seems to be because some of the language in the resolution is pretty slippery, and of course it's always possible that I'm misunderstanding it. Paragraph 4 of the draft resolution expresses ... concern that incidents of racial and religious intolerance, discrimination and related violence, as well as of negative stereotyping of religions and racial groups continue to rise around the world, and condemns, in this context, any advocacy of national, racial or religious hatred that constitutes incitement to discrimination, hostility or violence, and urges States to take effective measures, consistent with their international human rights obligations, to address and combat such incidents. Paragraph 6 likewise stresses that condemning and addressing, in accordance with international human rights obligations, including those regarding equal protection of the law, any advocacy of national, racial or religious hatred that constitutes incitement to discrimination, hostility or violence is an important safeguard to ensure the enjoyment of human rights and fundamental freedoms of all, particularly minorities. Paragraph 10 also expresses regret at the promotion by certain media of false images and negative stereotypes of vulnerable individuals or groups of individuals, and at the use of information and communication technologies such as the Internet for purposes contrary to respect for human rights, in particular the perpetration of violence against and exploitation and abuse of women and children, and disseminating racist and xenophobic discourse or content. The UN Human Rights Council has now passed the resolution condemning stereotyping of religion . It's a move that flouts freedom of expression - and it was sponsored by the United States and would surely be considered unconstitutional under its First Amendmen. The UN Human Rights Council on 2 October adopted the resolution, which the US had co-sponsored with Egypt. While the new resolution focuses on freedom of expression, it also condemns negative stereotyping of religion . Billed as a historic compromise between Western and Muslim nations, in the wake of controversies such the Danish Muhammed cartoons, the resolution caused concern among European members. The language of stereotyping only applies to stereotyping of individuals, I stress individuals, and must not protect ideologies, religions or abstract values, said France's representative, Jean-Baptiste Mattéi, speaking for the EU. The EU rejects the concept of defamation of religion. France emphasised that international human rights law protects individual believers, not systems of belief. But European members, eager not be seen as compromise wreckers, reluctantly supported the measure. On the other side of the fault line stood the Organisation of the Islamic Conference (OIC), which lobbied for a measure against religious defamation . There is talk that this OIC resolution will be returning to the UN spotlight later this year. While this new Egypt/US resolution reflects new efforts by the US to broker compromises between Western and Muslim nations, it also represents an ominous crack in the defences of free expression. More freedom of expression and human rights groups have voiced concern at a bid by the Organisation of Islamic Conference (OIC) and the African Group to write new conditions into an international convention that will add a requirement to ban defamation of religion to a convention intended to eliminate racism. The OIC, represented by Pakistan, and the African Group, represented by Egypt, have approached the UN Ad Hoc Committee mandated to elaborate on the International Convention on the Elimination of All Forms of Racial Discrimination. The OIC proposes new and binding standards on issues such as defamation of religions, religious personalities, holy books, scriptures and symbols . Twenty four groups, including ten Arab organisations, have put their name to an appeal to the Ad Hoc committee [pdf] not to accept the OIC proposals. With an eye to the Danish cartoons saga, the OIC calls for protection against provocative portrayals of objects of religious veneration as a malicious violation of the spirit of tolerance, and prohibition of the publication of …gratuitously offensive attacks on matters regarded as sacred by the followers of any religion . The OIC submission would also provide for action against abuse of the right to freedom of expression in the context of racio-religious profiling . The letter, originated by free expression campaigners Article 19, The Egyptian Initiative for Personal Rights, Cairo Institute for Human Rights Studies and Human Rights Watch Legal Resource Consortium in South Africa, maintains that the concept of defamation of religions is contrary to freedom of expression but also general principles of international human rights law. The focus, the signatories argue, should be on protecting the rights of individual believers, rather than belief systems. In what one official describes as a mixed report, the US State Department's Annual Report on International Religious Freedom praises growing interfaith initiatives in some countries but criticizes blasphemy laws supported by some Islamic nations. Such laws, it says, curtail freedom of expression. Introducing the report at the State Department Monday, Secretary of State Hillary Clinton criticized anti-defamation policies, such as those being proposed at the United Nations, saying that an individual's ability to practice his or her religion has no bearing on others' freedom of speech. Clinton said the protection of speech about religion is particularly important since persons of different faiths will inevitably hold divergent views on religious questions. These differences should be met with tolerance, not with the suppression of discourse. 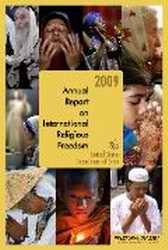 The annual report, addressing the state of religious freedom in 198 countries and territories, cites serious problems of religious tolerance in Afghanistan. It singles out a controversial law signed by President Hamid Karzai limiting the rights of women from the Shia minority. It also cites harassment and occasional violence against religious minorities and Muslims perceived as not respecting Islamic strictures. Non-Muslim minority groups -- including Christians, Hindus, and Sikhs, it says -- continued to face incidents of discrimination and persecution. The United States has very serious concerns over the status of religious freedom in Saudi Arabia as well, Posner said. The report says freedom of religion is neither recognized nor protected under Saudi law and it is severely restricted in practice. The State Department will issue a separate report on countries of concern. Officials say they plan to release by January. More than 100 organizations, including Muslim and secularist ones, have signed a petition against the proposed U.N. resolutions on the defamation of religions, which they contend will do more harm than good for religious freedom. The Common Statement from Civil Society on the Concept of the 'Defamation of Religions,' signed by organizations in over 20 countries, opposes the Organization of the Islamic Conference's (OIC) proposal for the United Nations to adopt a binding treaty that would protect religions from defamation. The groups pointed out that a similar resolution adopted earlier this year only cites Islam as the religion that should be protected. Moreover, human rights groups say the resolutions will give credit to anti-blasphemy laws in countries such as Pakistan and Sudan. Reports indicate that blasphemy laws have been widely abused to justify violence and abuse against religious minorities in predominantly Muslim countries. Blasphemy laws can also be used to silence critics of a religion and restrict freedom of speech. In seeking to protect 'religion' from defamation it is clear that existing international human rights protections will be undermined, specifically freedom of religion and belief and freedom of expression, said Tina Lambert, Christian Solidarity Worldwide's advocacy director. For the sake of those who already suffer unjustly under such legislation (blasphemy laws) and for the protection of our existing international human rights framework, it is vital that member states act to prevent such a treaty or optional protocol being established, she said. Since 1999, when the defamation of religions resolution was first proposed, this is the first time that sponsors have asked for it to become a binding treaty. Angela C. Wu, international law director of the Becket Fund, one of the groups that signed the petition, argued, Human rights are meant to protect the individuals, not ideas or governments. Yet the concept of 'defamation of religions' further empowers governments to choose which peacefully expressed ideas are permissible and which are not. It is pivotal for human rights defenders around the globe to unite against this flawed concept before it becomes binding law. The preliminary vote on the proposed binding treaty is expected before Thanksgiving, and the final plenary vote is expected in early to mid-December. A UN resolution advanced by Muslim countries that seeks to outlaw criticism of religion has seen a decline in support since last year. The number of countries continuing to support the resolution proposed by the Organisation of the Islamic Conference (OIC) to promote the concept of defamation of religions dropped to 81. Eighty-five countries in the UN's Third Committee on Human Rights voted for the resolution last year, which itself marked a reduction in support from 95, in 2007. Likewise, the number of countries voting against the resolution increased to 55 this year from 50 last year, while the number of abstentions rose from 42 to 43. Muslim states have pushed non-binding resolutions on combating religious defamation through the 192-nation General Assembly and the Geneva-based Human Rights Council since 1999, arguing that Muslims need protection from Islamophobic race-hate. Although the 56-nation OIC bloc has found support in African and non-aligned countries, campaigners have lobbied hard against the resolution over the past year and won over nations other than the traditional naysayers in Europe and North America. A coalition of more than 100 human rights organisations, including secular, Muslim, Christian, Baha'i and Jewish groups, opposed the resolution, saying it sought to provide cover for anti-blasphemy laws and the marginalisation of religious minorities in repressive countries. The General Assembly is set to vote on the resolution again in coming weeks, although attention has already turned to Geneva, where Pakistan, on behalf of the OIC, last month advanced a binding treaty amendment to the International Convention on the Elimination of All Forms of Racial Discrimination. The amendment would see the principle of religious defamation enshrined in international law, rather than non-binding resolutions. A survey of 20 nations has found strong support for the right to criticize religion. According to the survey of more than 18,000 people, 57% agreed that people should be allowed to publicly criticize religion because people should have freedom of speech. Meanwhile, 34% of all respondents said they supported the right of governments to fine or imprison people who publicly criticize a religion because such criticism could defame the religion. The strongest support for the right to criticize religion came from the United States, where 89% said public criticism should be allowed, followed by Chile (82%) and Mexico (81%). Britain came fourth, with 81% supporting the right to criticize religion. The seven nations with a majority of support for prohibitions on the right to criticize religion, meanwhile, had overwhelmingly Muslim populations. In Egypt, 71% agreed that criticism of religion should be prohibited, followed by Pakistan (62%), and Iraq (57%). The poll, conducted by WorldPublicOpinion.org, was released as the U.N. General Assembly prepared to debate a proposal calling for the prohibition of the defamation of religions. The proposal, put forward by the Organization of the Islamic Conference, which represents 56 Muslim nations, calls on all nations of the world to effectively combat defamation of all religions and incitement to religious hatred in general and against Islam and Muslims in particular. The U.N. General Assembly approved a resolution Friday deploring the defamation of religions and expressing concern that Islam is frequently and 'wrongly' associated with terrorism and human rights violations. The nonbinding resolution, sponsored by the Organization of the Islamic Conference, was adopted by a vote of 80-61 with 42 abstentions. The United States and many European and developed nations voted against it. Many see it as an interference in freedom of expression and freedom of religion. Eliot Engel, a New York Democrat who is a senior member of the House Foreign Affairs Committee, said the resolution fails to solve the very real problems of religious discrimination and hatred and further promotes intolerance and human rights violations by curtailing individuals' rights to express their religious beliefs. He noted that the General Assembly has adopted defamation of religion resolutions annually since 2005 — and this year it was approved by the smallest margin yet. Among other things, the resolution expresses deep concern at the negative stereotyping of religions and manifestations of intolerance and discrimination in matters of religion or belief. The U.S. Commission on International Religious Freedom (USCIRF) welcomed the UN Human Rights Council's significant step away from the pernicious defamation of religions concept. The Council have now adopted a resolution on religious intolerance that does not include this dangerous concept. The defamation concept undermines individual rights to freedom of religion and expression; exacerbates religious intolerance, discrimination, and violence; and provides international support for domestic blasphemy laws that often have led to gross human rights abuses. The Organization of the Islamic Conference (OIC) has promoted this flawed concept at the United Nations for more than a decade. USCIRF and others have worked hard against the defamation of religions concept for years . Thanks to these efforts, and those of previous administrations and Congresses, more countries each year voted against the defamation of religions concept because they understood that blasphemy laws increase intolerance and violence. Tragically, it took the assassinations of two prominent Pakistani officials who opposed that country's draconian blasphemy laws--Federal Minister of Minorities Affairs Shahbaz Bhatti and Punjab governor Salman Taseer--to convince the OIC that the annual defamation of religions resolutions embolden extremists rather than bolster religious harmony. In place of the divisive combating defamation of religions resolution, the UN Human Rights Council adopted a consensus resolution on combating intolerance, negative stereotyping and stigmatization of, and discrimination, incitement to violence, and violence against persons based on religion or belief. The resolution properly focuses on protecting individuals from discrimination or violence, instead of protecting religions from criticism. The resolution protects the adherents of all religions or beliefs, instead of focusing on one religion. Unlike the defamation of religions resolution, the new consensus resolution does not call for legal restrictions on peaceful expression, but rather, for positive measures, such as education and awareness-building, to address intolerance, discrimination, and violence based on religion or belief. The new three-page resolution omits any reference to defamation , it condemns any advocacy of religious hatred that amounts to incitement to hostility or violence against believers and calls on governments to act to prevent it. However, diplomats from Islamic countries have warned the council that they could return to campaigning for an international law against religious defamation if Western countries are not seen as acting to protect believers. Muslim countries may seek a United Nations resolution that would brand criticism of Islam and other religions as hate speech, a top U.S. religious freedom official is warning. Earlier this year, Islamic nations lost their most recent bid to pass a resolution against defamation or vilification of religions in the U.N. Human Rights Council. Now they appear to be pursing a new tactic, said Leonard Leo, a presidential appointee who chairs the bipartisan U.S. Commission on International Religious Freedom: My concern is that the Organization of the Islamic Conference will now try to get 'defamation of religions' and 'blasphemy' resolutions passed through the back door -- that is to say, by pushing the 'hate speech' issue. The Islamic conference was lobbying the U.N. for what Leo called a global blasphemy law, which would have condemned defamation of religions and urged member states to pass laws against it. Although the measure failed, Leo said Islamic states may have better luck using broader hate speech language that some Western countries already accept. Washington plans to host a coordination meeting to discuss with the Organization of Islamic Cooperation (OIC) how to implement resolution no. 16/18 on combating defamation of religions, and how to prevent stereotypes depicting religions and their followers; as well as disseminating religious tolerance, which has been endorsed by the UN Human Rights Council last March, in agreement with Western countries. The U.S. Secretary of State Hillary Clinton had announced the intention of the U.S. State Department to organize a coordination meeting during her participation in the meeting which she co-chaired with the OIC Secretary General, Professor Ekmeleddin Ihsanoglu in Istanbul on 15 July 2011. According to informed sources in the Organization of Islamic Cooperation, the two sides, in addition to other European parties, will hold a number of specialized meetings of experts in law and religion in order to finalize the legal aspect on how to better implement the UN resolution. 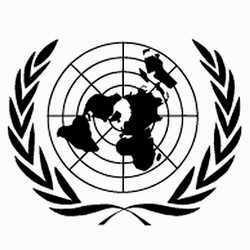 The sources said that the upcoming meetings aim at developing a legal basis for the UN Human Rights Council's resolution which help in enacting domestic laws for the countries involved in the issue, as well as formulating international laws preventing inciting hatred resulting from the continued defamation of religions. OIC Secretary General, Ekmeleddin Ihsanoglu, stressed that the crime committed recently in Norway was a result of the rise of the extreme right in Europe and its easy mobility in political circles. He said that the OIC had warned several times against of what might be called institutionalization of the phenomenon of Islamophobia. An upcoming meeting with Islamic leaders hosted by the State Department has campaigners warning that the United States may play into the push by Islamic nations to create new laws to stifle religious criticism and debate. The meeting on religious tolerance, which is scheduled for mid-December, would involve representatives of the Organization of Islamic Cooperation, a coalition of 56 nations which more or less represents the Muslim world. Critics describe the get-together as a Trojan horse for the long-running OIC push for restrictions on speech. They note the track record of nations that want the dialogue, including Egypt, where recent military action against Coptic Christians raised grave concerns about intolerance against religious minorities. Secretary of State Hillary Clinton originally announced the meeting this past July in Turkey, where she co-chaired a talk on religious tolerance with the OIC. The event was billed as a way to foster respect and empathy and tolerance among nations. Delegates from up to 30 countries, as well as groups like the European Union, are also invited. A State Department official told FoxNews.com this week that the meeting is meant to combat intolerance while being fully consistent with freedom of expression. Human Rights First applauds the United Nations' Third Committee's adoption of a text on combating religious intolerance that does not include the harmful concept of defamation of religion, an historic step that brings the text closer to final passage in the full General Assembly in coming weeks. If this text is adopted by the full General Assembly, it would mark a decisive break from the polarizing focus in the past on defamation of religions. Governments should now focus on concrete measures to fight religiously-motivated violence, discrimination, and other forms of intolerance, while recognizing the importance of freedom of expression. The U.N.'s new approach reflects what is needed to combat the intolerance we continue to see around the world. It is crucial for leaders to protect freedom of expression, condemn and prosecute violence, speak out against hatred and affirm equal rights for all. This resolution coming out of the Third Committee is based on one adopted by consensus at the Human Rights Council in March 2011. It calls on governments to speak out and to condemn hatred, while encouraging open debate, human rights education, and interfaith and intercultural initiatives. The text also calls on the U.N. Secretary-General to submit a report on steps taken by States to combat intolerance. The resolution marks a welcome departure from previous U.N. resolutions on combating religious intolerance. For over a decade, efforts were made in several venues at the U.N. to promote the concept that states should prohibit defamation of religions -- thus providing cover for abusive national blasphemy laws. Human Rights First has long argued that this concept is inconsistent with universal human rights standards that protect individuals rather than abstract ideas or religions. Indeed, blasphemy laws promote a stifling atmosphere in which governments can restrict freedom of expression, thought and religion and persecute religious minorities. A little while ago the muslim countries of the Organization of Islamic Cooperation (OIC) dropped demands for 'defamation of religion' to be internationally enacted in law. Instead they would look towards the existing western approach to to criminalize incitement to hatred and violence on religious grounds. This change of direction was related to ongoing diplomatic work by US Secretary of state Hillary Clinton. However there have now been further moves that have become a little worrying to observers. The OIC's intent, as stated explicitly in its April 2011 4th Annual Report on Islamophobia, is to criminalize incitement to hatred and violence on religious grounds. However the report also alluded to a 'useful' definition of 'incitement to hatred and violence' that rather ends the consensus with the western view. Approaches like applying the test of consequences were useful and would have to be explored/refined further in an objective fashion towards evolving a consensus with regard to effectively addressing the matter. Resolution 16/18 (ie to criminalize incitement to hatred and violence on religious grounds ) was hailed as a victory by Clinton, because it calls on countries to combat intolerance, negative stereotyping and stigmatization based on religion without criminalizing free speech -- except in cases of incitement to imminent violence. But if the criterion for determining incitement to imminent violence is a new test of consequences, then this is nothing but an invitation to stage Muslim Days of Rage following the slightest perceived offense by a Western blogger, instructor, or radio show guest, all of whom will be held legally liable for causing the destruction, possibly even if what they've said is merely a statement of fact. The implications of such prior restraint on free speech would be chilling. So does drawing a cartoon of Mohammed count as inciting violence? Inciting violence is already criminal according to many Western laws. But it is assumed that inciting violence means that you are urging people to violence. However this phrase is now being talked about as if violent response is somehow incited, even if the supposed offender had in no way urged anyone to violence. ie as if the Mohammed cartoonist had incited the resultant violence. The US government has been quietly wrapping up a Christmas gift of its own: adoption of UN resolution 16/18. An initiative of the Organization of Islamic Cooperation (formerly Organization of Islamic Conferences), the confederacy of 56 Islamic states, Resolution 16/18 seeks to limit speech that is viewed as discriminatory or which involves the defamation of religion -- specifically that which can be viewed as incitement to imminent violence. The world's largest Islamic body has called for expressions of Islamophobia to be curbed by law, just as some countries restrict anti-Semitic speech or Holocaust denial. Pakistan, speaking on behalf of the 56 countries that form the Organisation of Islamic Cooperation (OIC), condemned a video made in the United States that supposedly defamed Islam and the religious character Mohammad. The Obama administration has condemned the film entitled Innocence of Muslims as disgusting . But Western countries remain determined to resist restrictions on freedom of speech and have already voiced disquiet about the repressive effect of blasphemy laws in Muslim countries such as Pakistan. The OIC signalled last week that it would revive long-standing attempts to make insults against religions an international criminal offence. A resolution submitted by African countries and backed by the OIC calls on states to introduce into domestic criminal law a provision ensuring that those responsible for crimes with racist or xenophobic motivation are prosecuted. The text, which deplores the targeting of religious symbols and venerated persons is one of the most contentious of the 32 resolutions to be voted on by the 47-member forum this week. Anglican leaders across the Communion have spoken out about The Innocence of Muslims . Both Anglican and Catholic Archbishops in New Zealand have condemned the film. In the Middle East, the Most Rev. Mouneer Anis, President Bishop in Egypt (one of the countries directly affected by protest and violence) has said: We here made it clear that we Christians reject this kind of provocative film . As an attempt to avoid future hostility, Anis united with fellow bishops and has written a letter to Ban Ki-Moon, Secretary General of the United Nations, asking for a declaration that outlaws intentional and deliberate insulting or defamation of persons (such as prophets), symbols, texts and constructs of belief deemed holy by people of faith . European Anglicans have also responded to the video. The Bishop in charge of the Convocation of Episcopal Churches in Europe, Rt. Rev. Pierre Whalon, denounced the film. According to Whalon, those who planned and created the film would have much to answer for when they came before the judgment seat of God. He went on to say that Christians and Muslims alike should continue to work to defeat attempts of extremists of every religion to create fear, hatred and violence. Only love can cast out fear , said Whalon. Ekmeleddin Ihsanoglu, secretary general of the Organisation of Islamic Cooperation (OIC), said the body would not try again for United Nations support to ban insults to religion. The European countries don't vote with us, the United States doesn't vote with us. I never said this and I know this will never happen. Getting the go-ahead from the Cairo Islamic Summit, the Organization of Islamic Cooperation (OIC) has re-energised its efforts to try and get the denigration of religions recognized as a criminal offence. Next session of the Istanbul Process on Islamophobia will be held in the first half of this year, and the session will squarely focus on the issue of criminalizing denigration of religions. The OIC is of the firm view that any religion or its symbols should not be denigrated. 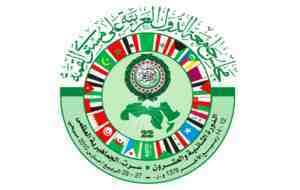 The Cairo Islamic Summit endorsed this position and tasked the OIC secretariat to develop a unified strategy to impress upon the international community to take effective measures against such acts of incitement of intolerance and hatred that may lead to violence and loss of lives. In an interview with the Saudi Gazette, Sheikh underscored the need for transposition of the international law to domestic one to effectively combat Islamophobia, which he claimed is a contemporary manifestation of racism mainly targeting Islam and Muslims . He said the OIC seeks establishment of an international observatory, based in Geneva, with a global mandate not only to monitor denigration of Islam but all other religions. According to Sheikh, international law clearly states that denigration of symbols or persons sacred to any religion is a criminal offence. This law ratifies OIC's position and the only remaining problem is the absence of enforcement in the true spirit by member states. We had thought the OIC had abandoned its plans for an international blasphemy law after it was roundly rejected by the United Nations, but here they are, coming at it again by a different route -- but with exactly the same end result, a blanket ban on any criticism of Islam. This is dangerous and dictatorial. We can see in Pakistan what horrors are perpetrated when these kinds of laws are in effect. Imagine it on an international scale. The OIC may represent powerful interests, but its stifling and tyrannical approach to free speech must be resisted very strongly by the West. the United Nations' special rapporteur on freedom of religion or belief has come out strongly against laws against blasphemy and apostasy. States should repeal any criminal law provisions that penalize apostasy, blasphemy and proselytism, as they may prevent persons belonging to religious or belief minorities from fully enjoying their freedom of religion or belief. Arab countries are working on a draft law that bans the defamation of religions and empowers cross border prosecutions in nations signing up to the law. The draft, presented by Qatar, is being reviewed by delegates from several Arab countries at the Arab League. Under its provisions, all forms of defamation, derision or denigration of religions and prophets will be considered crimes. The main feature of the draft is that it gives every state the right to put on trial those who abuse and hold in contempt religions even if they are outside the country. All penal laws in Arab countries criminalise defamation of religions but there are no specific sanctions when an abuser is outside the country. Therefore, the main goal of this law is to deter all forms of defamation of religions and give each country that ratifies it the right to file lawsuits against those who offend religions, even if they are not residents. The draft will be considered by the Arab justice ministers when they convene. Jordan has introduced an emergency item to the next meeting of the Inter-Parliamentary Union, calling for a ban on insulting religion or religious symbols. The draft resolution says insults to religion represent a danger to all humanity. The Speaker of Jordan's House of Representatives has written to the Secretary General of the Inter-Parliamentary Union (IPU) to introduce an emergency item titled respect for religions and religious symbols, respect for freedom of opinion and expression. Although the title feigns acknowledgment freedom of opinion and expression, the resolution does nothing of the kind. The focal point for world-wide parliamentary dialogue and works for peace and co-operation among peoples and for the firm establishment of representative democracy. Insults to religions and religious symbols are uncivilized actions that have very serious consequences on all humanity, as they prevent the meeting of minds and dialogue and feed religious extremism and fanaticism, terrorism and violence. The followers of Islam acknowledge the existence of other religions. Islam also gives the followers of those religions the right to exercise their religious practices freely within Islamic States, and regards non-Muslims as citizens and an integral thread in the fabric of the nation. Freedom of opinion and expression should not be used as a pretext for insulting others' lives, reputations, religions, holy shrines or practices. In today's world, the term 'religious symbols' refers to prophets, places of worship and holy books. As a gesture of commitment, the religion of Islam obliges all its followers to believe in and respect all prophets, and to believe in holy books. The Speaker has also called for an international convention to prevent disrespect for religions and religious symbols. Stephen Evans, National Secular Society campaigns manager, said the resolution was the latest in a long line of attempts to impose a global blasphemy law and called for it to be fiercely resisted . Free speech campaign organisation Article 19 have denounced the proposal and warned that it would legitimise criminal prohibitions on religious insult or so-called 'defamation of religions' and warned that the introduction of prohibitions on insulting religion must be resisted in other international forums, after campaign groups saw recent success in seeing off attempts to introduce de facto blasphemy bans at the UN.